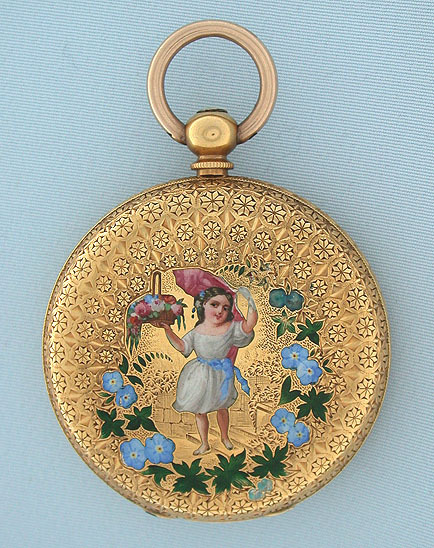 Fine and lovely Swiss 18K gold and enamel ladies keywind antique pendant watch by Charles Jacot, Chaux De Fonds, circa 1860. 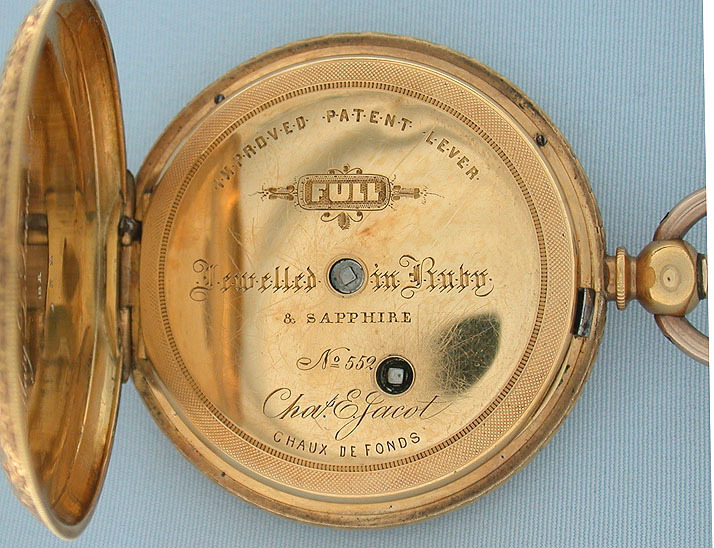 The substantial case fully engraved overall. The front with a girl holding a basked of flowers within a border of leaves and flowers. 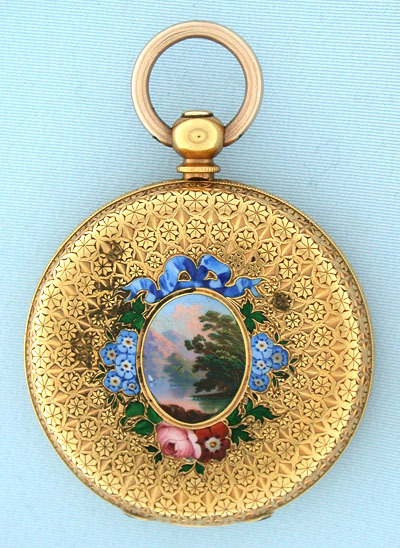 The back with a landscape within a similar border. 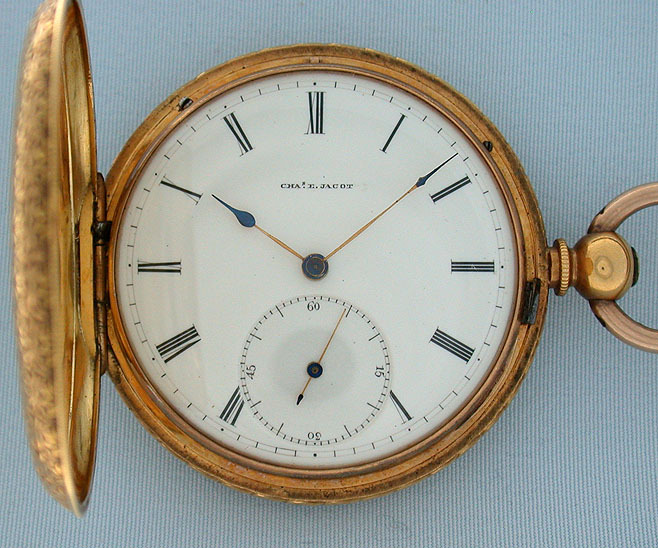 White enamel dial with unusual two color gold and blued steel hands. 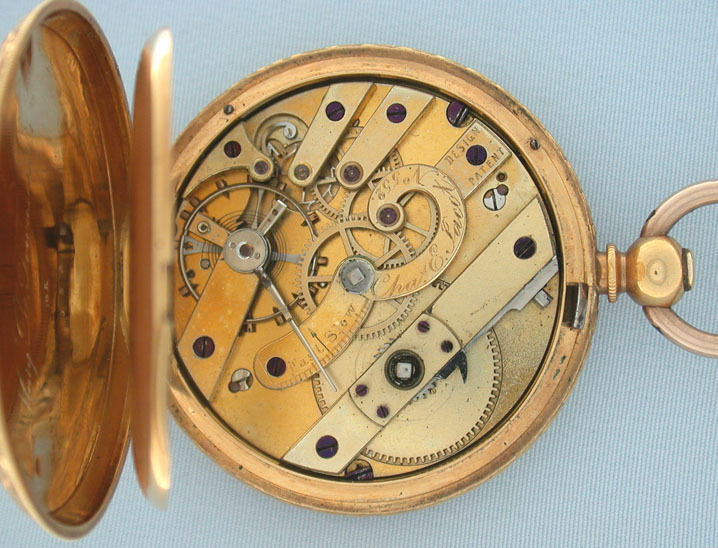 Gilt 15 jewel lever movement in distinctive Jacot pattern.